Las Vegas, Nevada NAFTC had the Expo II at AAPEX Show 2018 October 28 – 29 We introduced two new train-the -trainer courses. Las Vegas, Nevada NAFTC presents Expo II and AAPEX AFV Mobility Garage at AAPEX Show 2018 October 28 – November 1 Two new train-the-trainer courses, more than 30 AFV displays, and 24 training presentations. The NAFTC recently added a Bi-Fuel Engine Performance Trainer to its Propane Autogas Trainings. News on alternative fuels and vehicles from the 90+ Clean Cities programs across the USA! Great stories of advancing EVs, CNG, propane, biofuels and idle reduction in American fleets and communities. 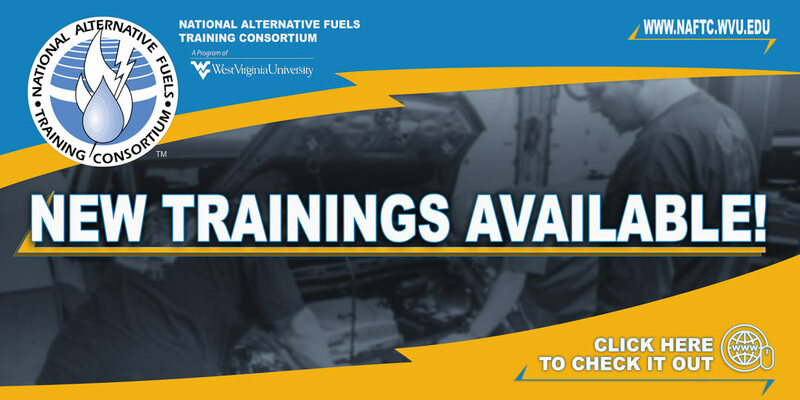 The National Alternative Fuels Training Consortium will hold Expo III in Morgantown, WV, June 18 through 20, 2019. Expo III will feature grant writing training, a curriculum update with new courses and videos, a tour of the West Virginia University Personal Rapid Transit System, and, of course, plenty of networking.